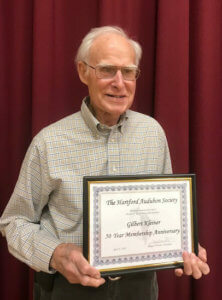 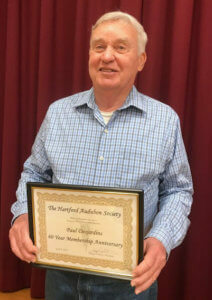 Three of our long-standing members: Paul Desjardins (60 years), Paul Carrier (50 years), and Gil Kleiner (50 years) were presented with certificates honoring their long term memberships and birding years / contributions with the Hartford Audubon Society. 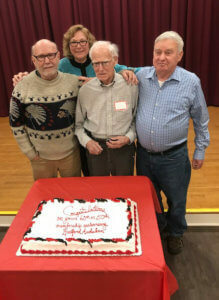 We all appreciate their support and dedication to HAS! 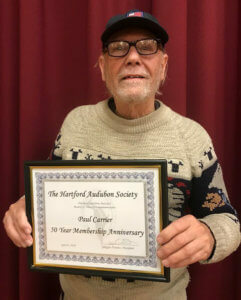 Congratulations to Gil, Paul C and Paul D!